Israel Adesanya may have just won the interim UFC Middleweight title, but he is already eyeballing bigger competition. The blossoming beef between he and Jon Jones is only escalating. Following his legendary fight with Kelvin Gastelum at UFC 236, Israel Adesanya is still riding that high. He went on several shows Monday morning to talk about the incredible fight, along with what the future may hold for “Stylebender.” That conversation quickly turned to the topic of Jon Jones. Jones and Adesanya went back and forth during the lead-up to the Gastelum fight. Adesanya mentioned that he would like a future bout with the Light Heavyweight Champion. 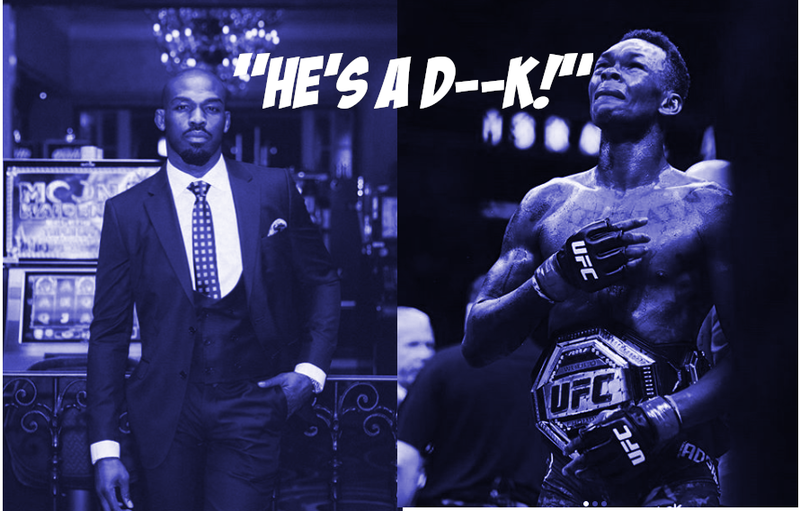 Jones was quick to respond however, saying that he would make Adesanya call him “Daddy.” When talking with Ariel Helwani about the beef, Israel called Jones a bully. He saying the only reason Jones wants to fight him is because he is still young in MMA. Adesanya to @arielhelwani on #HelwaniShow about Jones: "I'm Player One and he's the final boss in the game"
Adesanya would even go on The MMA Hour to blast Jones. Jones fired back at Adesanya on Twitter, saying he knows he can’t beat Jones. While a bout with Jon Jones is interesting, it is far in the future. Israel Adesanya is next in line to take on undisputed UFC Middleweight Champion Robert Whitaker. Adesanya better pray that he beats Whittaker or it will look very bad talking about JBJ. Adesanya has to clear his division first before getting a shot at JBJ. Adesanya got some goat’s in his own division to take care of first. Like Whittaker, Romero, Souza and possibly Costa before blasting JBJ about being a bully. Adesanya has talked very negatively about some of the other fighters, he isn’t the saint he is trying to portray.